Print high-quality documents photos and graphics using the Brother TN660 Toner Compatible Cartridge High Yield Black 3 Pack. 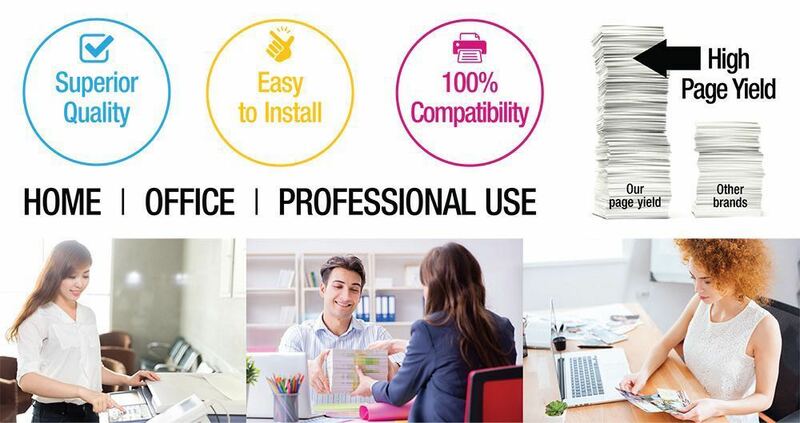 It can yield up to 2600 each before needing to be replaced so it's ideal for offices with a high volume of printing. This cartridge produces a rich black ink that gives your documents a crisp clear professional look and installation is fast and easy. Compatible with: Brother DCP Series: L2520 L2540 HL Series: L2300 L2320 L2340 L2361 L2365 L2380 MFC Series: L2700 L2705 L2720 etc. Thanks to Brother's extensive research and development this high yield toner cartridge produces a deep dark black for easy readability and clear graphics. Print professional-looking reports charts and other documents with its rich black ink. Ideal for offices that print a high volume of documents this Brother toner cartridge yields up to 2600 each before needing to be replaced. And it's easy to install in your machine so you can spend your time doing more important tasks. The Brother TN-660 toner cartridge is compatible with multiple Brother all-in-one machines and Brother laser printers. Brother TN-660 Black Toner Cartridge 3 Pack High Yield. I find that your toner cartridges are very great product. I'm enjoying the savings. These are fully compatible with the Original version. It was delivered within a two days and I've had no any problems with these. I have had absolutely no any problems with this toner cartridge. Works just as well as the one that is three or four times as expensive. I was skeptical due to the low price of three cartridges but these installed easily and is working well. We will see if it has long life. Just like the genuine cartridges at a fraction of the price!!! I would definitely recommend this product to anyone looking for good affordable toner cartridges!!! I run a business so I do not want to spend all my profit on toner. worked fine on the first try. no drips or Smudges on prints.